It's an emblem of the ever-widening gap between serious and popular music - Béla Bartók's Concerto for Orchestra, although nearly 60 years old, is the most recent work to join the standard repertoire. Times have changed. Barely a century ago, arias from the latest operas were whistled in the streets. Nowadays, though, few know or care about new serious music and concerts have become archives of works several generations, if not centuries, old. Of all the great 20th century composers, Bartók would have been the most alarmed at this development. 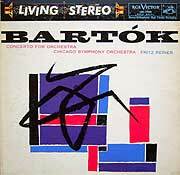 At first, Bartók seemed destined for a career as a pianist playing the customary European fare. Then, in his early twenties, he belatedly discovered the folk music of his native Hungary and his outlook was forever transformed. Many composers had used folk melodies to enliven standard musical forms, but Bartók set out on a more challenging path - to capture and convey the character and essence of an entire mode of music. But first, he had to thoroughly understand it. Bartók spent years in the field with a primitive Edison cylinder machine meticulously recording and transcribing thousands of songs. His extensive writings are a major foundation of modern ethnomusicology. To further expose his findings, at first he published concert arrangements of folk music but soon they imbued his original compositions. His goal was both scientific - to preserve, classify and analyze folk material - as well as practical - to encourage performance and appreciation both in Hungary and throughout the world. As his fame spread, he traveled to explore and compare other folk traditions. From his experience, he came to believe that the most important music arose not from isolated cultures but from an intermingling of diverse influences. Ultimately he put theory into practice: although firmly rooted in Hungarian tradition, his own music came to actively embrace contributions from his other areas of study. By the time he wrote his Concerto for Orchestra Bartók was in bad shape physically, emotionally and professionally. Distressed over his beloved country's capitulation to the Nazis, he had emigrated to New York in 1940, leaving behind the royalties and colleagues who had provided his financial and professional support. (He sent his original manuscripts to Switzerland for safe-keeping.) His activity as a scholar, performer and composer seemed over - a brief stint arranging archival folk recordings at Columbia University ended without hope for extension, his few recitals had met with critical hostility and public indifference and he had written no new music for four years. Indeed, his Mikrokosmos, an eclectic collection of 153 piano pieces completed in 1939, seemed to summarize all he had experienced and suggested a swan-song. Always of tenuous health, he had been hospitalized, weighing a mere 87 pounds. Although destitute, he was intensely private and wary of even a hint of charity. He considered himself an exile in an alien land and ached to return home. 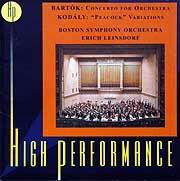 When given its world premiere by the Boston Symphony on December 1, 1944, the Concerto For Orchestra was an immediate critical and audience success. It drew attention to the neglected composer and his other work. More commissions arrived. New projects were started. 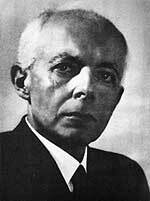 But Bartók's health again failed and he died the next September, leaving the Concerto for Orchestra as his testament. In The Life and Music of Bela Bartók (Oxford, 1953), biographer Halsey Stevens provided a cogent analysis of the huge appeal of this work - it combines diverse elements from Bach fugues to Schoenberg atonality that had touched Bartók throughout his creative years, while all the melodies, harmonies and rhythms are colored by the genuine ease of peasant music and unified by the power of Bartók's personality. Indeed, while the Concerto's elements are all-embracing, it isn't a dry intellectual compendium of influences but a wondrous, vibrant and spontaneous-sounding celebration of life, beginning with a primordial coalescing of consciousness and culminating in an explosive outburst of defiant vitality. Since a traditional concerto juxtaposes a highlighted solo instrument with an orchestra, Bartók explained his seemingly contradictory title as taking a basic symphonic texture and treating the individual orchestral instruments in a soloistic manner. Nowhere is this more apparent than in the second of the five movements, which he entitled the Game of Pairs - with a sound derived from Yugoslavian folk music, two bassoons, oboes, clarinets, flutes and trumpets each in turn play a sly, jaunty tune in parallel sixths, thirds, sevenths, fifths and seconds, and then repeat the process augmented by further instruments. The Concerto is also deeply personal - while he was writing the fourth movement, Bartók heard a radio broadcast of Shostakovich's Symphony # 7 which, despite its vapid bombast, had become wildly popular (undoubtedly due to its timely subject depicting the siege of Leningrad). Resentful of how such trash could become such a sensation while his own vastly superior music languished, Bartók created an interrupted intermezzo in which a vulgarized version of one of Shostakovich's trite militaristic themes barges in but is quickly submerged by a Hungarian melody of simple, honest purity. As befits its tender age, the performance history of the Concerto for Orchestra is well documented on record. Although the world premiere wasn't recorded, we do have a fine concert in which the original forces repeated their triumph a mere four weeks later. 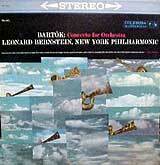 In that December 30, 1944 rendition (Naxos 110105), Koussevitzky and the Boston Symphony stress the work's dramatic sweep and logical flow. Full of color and detail, drama and lyricism, the magnificent playing stresses a fully integrated ensemble rather than a collection of preening soloists. The Game of Pairs has an effortless, breezy, casual quality, and even the interruption of the intermezzo seems more an organic outgrowth than a frustrating intrusion. The ending sounds abbreviated and perfunctory, but only because it's the rarely-heard original version, which Bartók amended before his death with the dynamic wrap-up to which we've become accustomed. The sound is compressed, with some broadcast noise, but it's serviceable and thoroughly enjoyable. Koussevitzky never made a studio recording of the Concerto, but his orchestra went on to cut several. The first "official" Boston Symphony rendition inaugurated its relationship with its new permanent director. In other repertoire Erich Leinsdorf was faulted for being overly analytical and literal, but here he's a worthy successor to Koussevitzky, properly stepping aside to put the orchestra's full collective glory on display. Currently available in BMG's High Performance series (BMG 63309) and appropriately coupled with the Peacock Variations by fellow Hungarian folk enthusiast Zoltan Kodaly, the fine playing is nestled in a rich acoustic. It's interesting (but fruitless) to speculate how Bartok might have conducted his own work. While clues can be gleaned from his lean and spare piano records, we do have several recordings led by his students. The most famous was Fritz Reiner. At the Budapest Academy Bartok had signed Reiner's diploma and launched his career but decades later in America their roles were reversed, as the now-famous conductor rescued the composer from his desperation. Reiner's recording with his Chicago Symphony Orchestra is justly famous - a sharply-accented and penetrating vision that quivers with sublimated emotion, conveying a tangible sense of complete identification with the composer's own confused emotions of hope amid despair, pride among shattered dreams. Straddling the perilous line between modern objectivity and ardent national expression, it sounds thoroughly idiomatic and so very right. The 1955 stereo recording still startles with vivid detail in RCA's Living Stereo sound (RCA 61504). 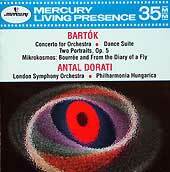 While not as acclaimed as the Reiner account, a striking 1962 performance by fellow Hungarian Antal Dorati with the London Symphony (Mercury 432 017) projects a similarly complex aura of unease - dramatic and passionate but with a subtext of tension and disquiet that deftly undermines the repose of the lyrical passages. The Living Presence recording is sharp and detailed, but extensive tape dropouts in the CD transfer, while barely noticeable with speakers, become quite annoying through headphones. Although they were contemporaries in Budapest, George Szell's path barely crossed Bartók's. Yet he was so struck by the Concerto for Orchestra that within weeks of its premiere he became an early advocate and programmed it often. With his Cleveland Orchestra, which he honed to a startling level of precision, Szell gives a lean, propulsive and vigorous reading, strikingly similar to Reiner's in its exquisite subtlety, but with a slighter edge and disfigured by a large cut in the finale. One of the final releases in Sony's aborted Masterworks Heritage series (MHK 63124), it's coupled with a riveting account of Prokofiev's Fifth Symphony. A fascinating complement is the reading by another Bartók student, Ferenc Fricsay, and the Berlin Radio Symphony (DG 947443). Although recorded two years after Reiner's, it was cut only in mono and was undeservedly overlooked in the stereo marketing sweepstakes of the time. Fricsay presents the outer movements as emotional roller-coasters, contrasting fiery temperament with moments of deep tenderness, all within a luminous orchestral sound that tends to humanize the composer's situation and outlook. Fricsay's sweeping temperament found its deepest resonance in the soul of Leonard Bernstein. His 1959 recording with the New York Philharmonic (Sony SMK 47510 or 60730) is utterly exhausting, with huge energy, coiled tension and romantic release. All is emphatic - the intermezzo emerges as a lusty peasant joke and the chilly atmosphere of the central elegy is breathtaking, a dark and troubling journey through the composer's confused and conflicted psyche. While Bernstein side-steps the composer's deep-rooted fear of a tradition slipping away, he compensates with a sense of overriding triumph that suggests Bartók's ultimate spiritual victory over his despondent exile. At the opposite end of the emotional spectrum is Pierre Boulez, a devout modernist who treats the work as pure music, devoid of personal inflection. The gleaming detail of his recording with the Chicago Symphony (DG 437826) displays the music's meticulous construction and innate strength, even if the surface luster suppresses much of its essential character. Yet, there's a redeeming lightness of touch and a pervasive sense of humanity. Of similarly objective accounts, Guido Cantelli and the New York Philharmonic (AS 619) add lyrical grace while the deliberate pacing of Adam Fischer and the Hungarian State Orchestra (Nimbus 5229) invite something between careful study and a clinical dissection of the score. Why did I buy the Fischer? Two reasons - I was intrigued by the longest timing I had ever encountered for this work (42 minutes, compared to a typical 37 or so), but I'm also embarrassed to admit that I was hooked by the cover. Indeed, this work has been graced by uncommonly engaging cover art. Just look at the Reiner, Dorati, Szell, Boulez and Fischer covers above; has any other piece inspired such a profusion of abstract graphic invention? 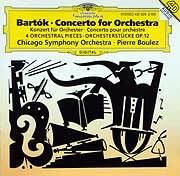 Incidentally, if you like the Concerto for Orchestra, then you should love Bartók's earlier Music for Strings, Percussion and Celesta. Despite the dispassionate title, it's a wondrously atmospheric dreamscape of remarkable textures which Stanley Kubrick used to underline his Shining. 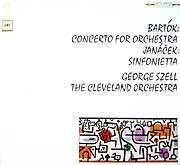 Its half-hour length and probing textures make an ideal companion for the Concerto for Orchestra. Superb accounts are on the Reiner, Fricsay, Bernstein and Cantelli CDs noted above.